Despite the ease of access to instant information, we’re still seeing an incredible disconnect between patients and doctors. Patients are struggling to manage their expectations, and their lack of understanding as to how medical practices operate is fueling their dissatisfaction. From incorrect self-diagnoses to asking for medications that are inappropriate for their health, they’re attempting to process complex information just because it’s within easy reach. Yes, they’re simply advocating for their health and wellness, but beyond that immediate context resides a highly-nuanced, strictly-regulated system. Not to mention, a body of knowledge that commands years of schooling and practice. If only it was a simple misunderstanding that could be cleared up over the course of a checkup. But the divide isn’t only growing, it’s becoming increasingly litigious. Those mismanaged expectations are leading to accusations of negligence. And the swelling frustration with the largely faceless health insurance industry is only boosting the scrutiny of providers. In too many cases, it’s culminating in malpractice claims. 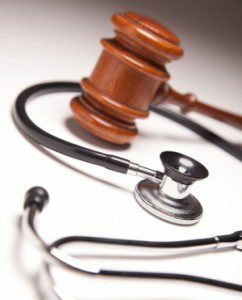 If you are a medical professional who is being sued for malpractice, turn to Doyle, Shafer, McMahon, LLP and our team of medical license defense attorneys to help defend your practice and your reputation. We know that it is difficult, but the first step to approaching your case is to try and not take accusations of malpractice personally. You already know that you provide an excellent standard of care, and our team will help you prove it. The representation of doctors requires a thorough understanding of their specialties, how they operate their practices, and industry standards, which is why not every law firm is suited for it. We offer not only extensive experience in representing medical professionals but a meticulous approach to understanding their respective fields and the unique nature of their cases. It’s upon that foundation that we’ll build a defense that is vigorous, aggressive, and that aims to give you the vindication you need after such a stressful situation. While we understand that some patients resort to legal action after perceived neglect, we believe that doctors deserve the best protection against such opportunists. Beyond representing doctors and defending nurses and health care professionals, our team believes passionately that our health care system must continuously provide a balance between managing risk and patient care. We encourage our clients to mold their operations so that they always demonstrate their commitment to the industry’s best practices. Rather than need a HIPAA lawyer later, they can invest their time and effort in an operation that is an example of picture-perfect HIPAA compliance. Likewise, small steps that focus on improving patient experiences when possible can go a long way toward how they perceive their care experiences. As you embark on this journey, let us help you take back your reputation and regain the confidence you need to help your patients. Contact us at 949-727-7077 for a consultation and get the malpractice help you can trust.